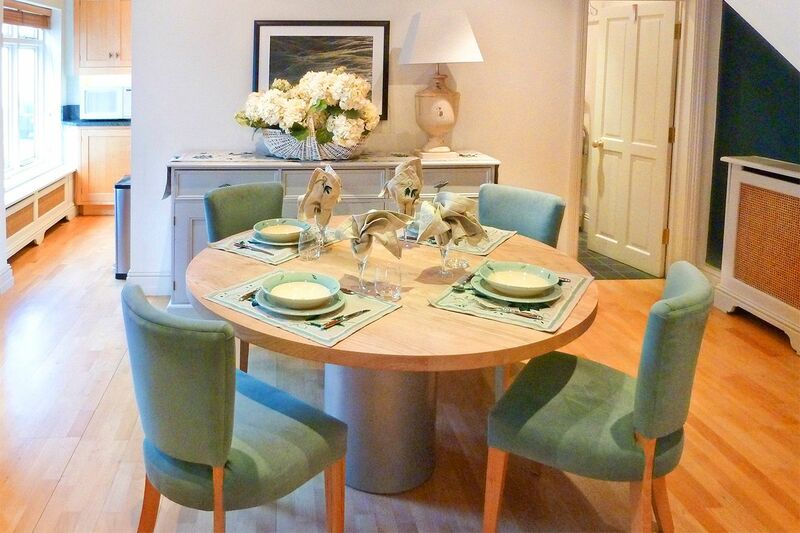 "Our family of four found the Hornton apartment to be wonderfully comfortable. 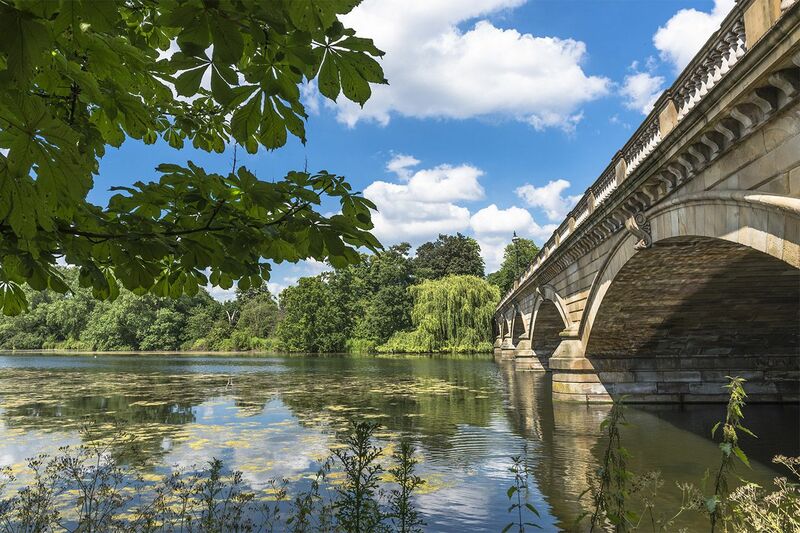 The location is perfectly situated in a quiet neighborhood, close to Hyde Park, the tube, and an array of yummy..."
"We had a wonderful time at the Hornton. Very clean, comfortable and well stocked. The apartment is in a perfect location with restaurants and stores close by. 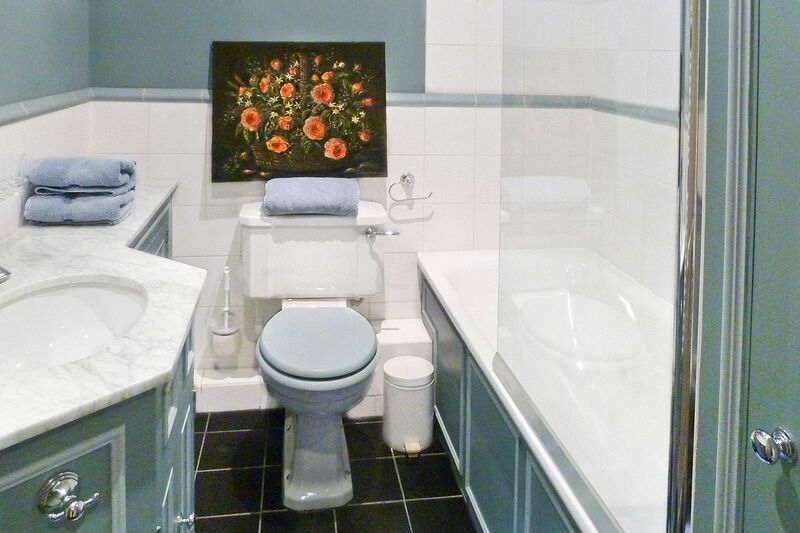 Two different train stations within..."
"The house was lovely and the location was "perfect". We had a wonderful time. 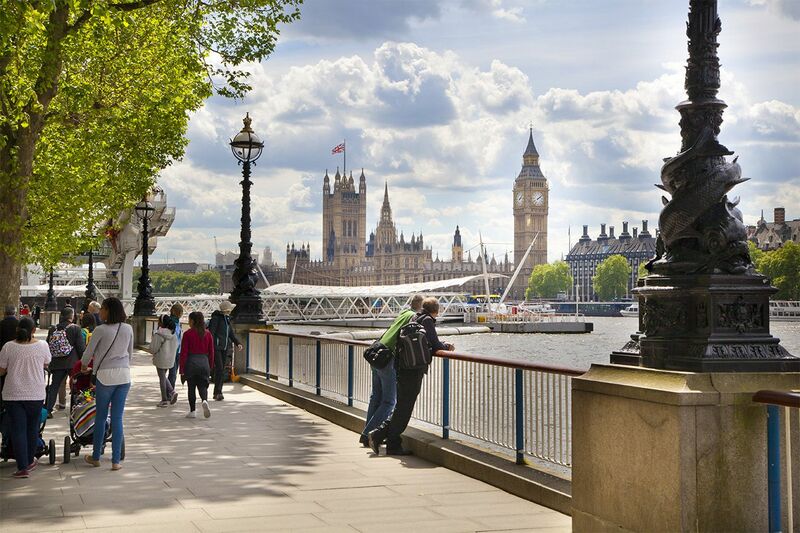 We will absolutely stay with London Perfect the next time we visit the city." "Once again London Perfect came thru. We had a big group but the apartment was perfect, in a perfect location, just down the street to the Chocolate Show. We were able, everyday, to just walk down to..."
"Our Hornton apartment was perfect for our family of six...and as you can imagine, that is a large request! The location was fantastic. 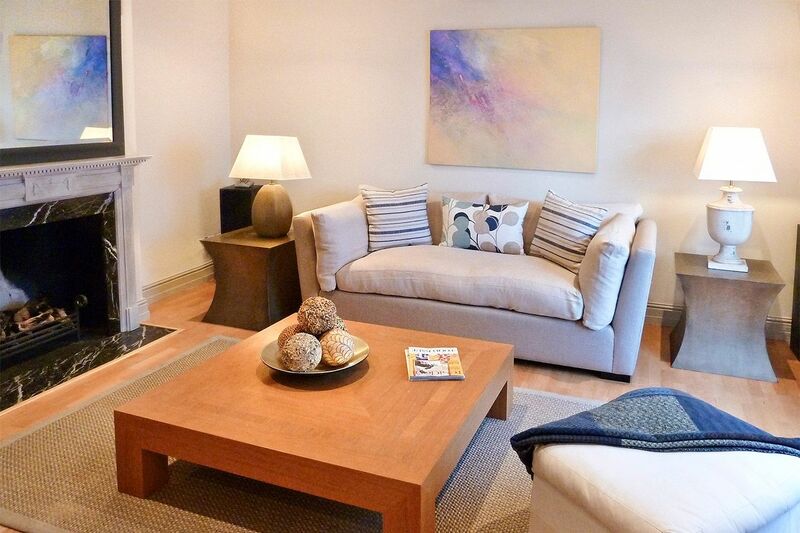 We were situated right in between two very accessible Tube..."
We stepped into a beautiful, quiet mews in Kensington to discover the lovely Hornton mews home! Fully remodeled, this beautiful home features 3 bedrooms, 2 bathrooms and sleeps up to 6 people. It is located just off Hornton Street in Kensington, close to the High Street Kensington Tube and Notting Hill Gate Tube. 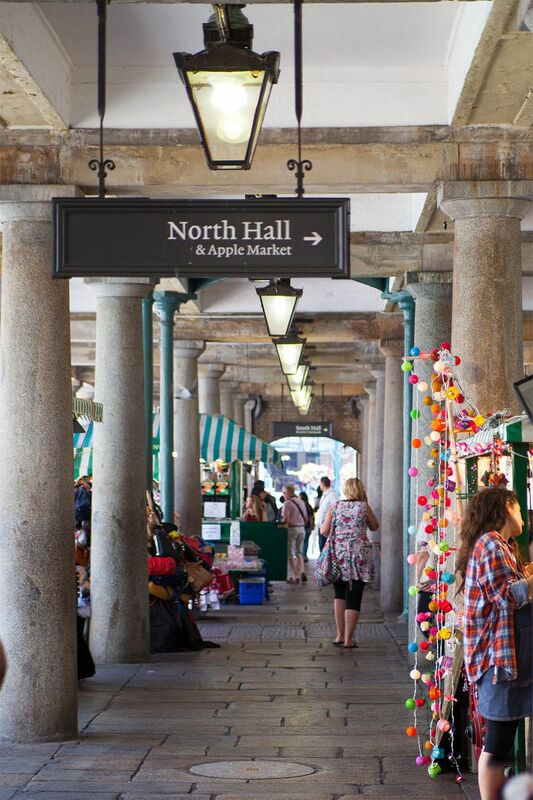 You're in the middle of bustling Kensington, with loads of shopping, supermarkets, restaurants and museums, but in this quiet mews, it feels as though you've been transported back to Olde England. 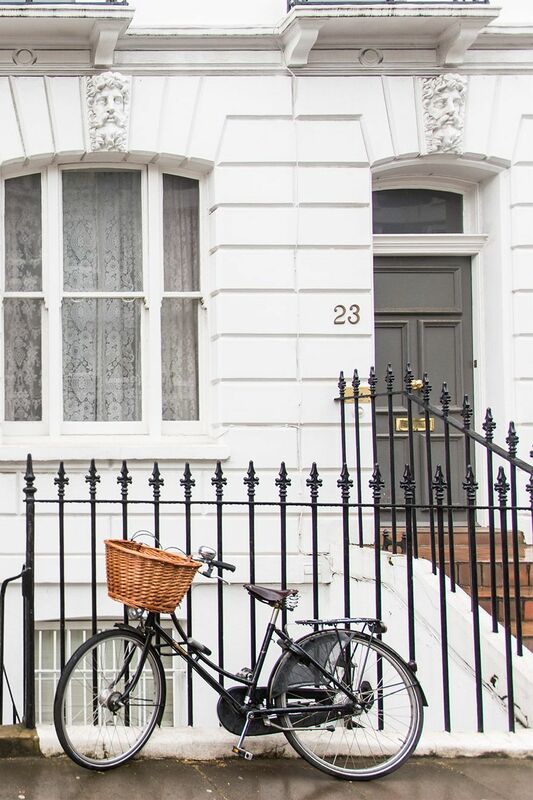 Located in one of the safest and most prestigious areas of London, you'll love the iron street sign that spans between two Victorian homes and the original cobblestones. 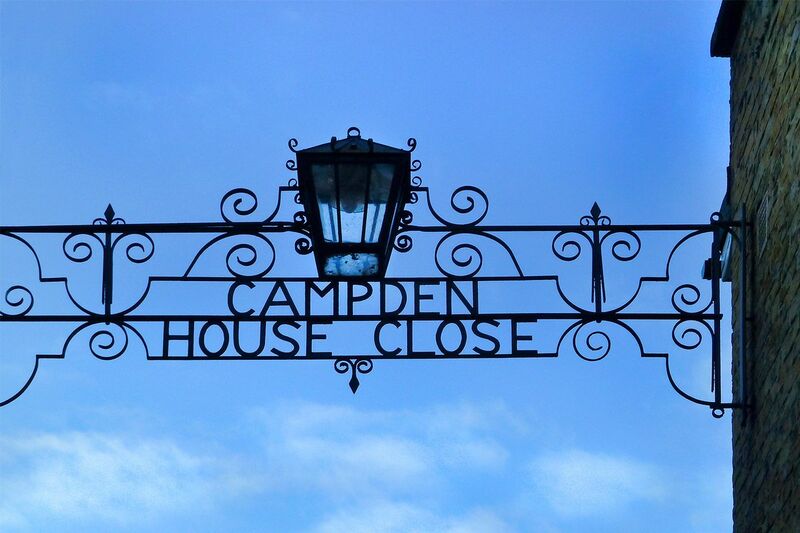 In Victorian days, the mews were located behind even grander homes and used to stable horses and house servants. Nowadays, they have been transformed into gorgeous multi-million pound homes and the cobble stoned little streets create a special feeling of a small neighborhood. That describes the Hornton in every way. Accessiblity: There is one step up to the front door of this holiday home. 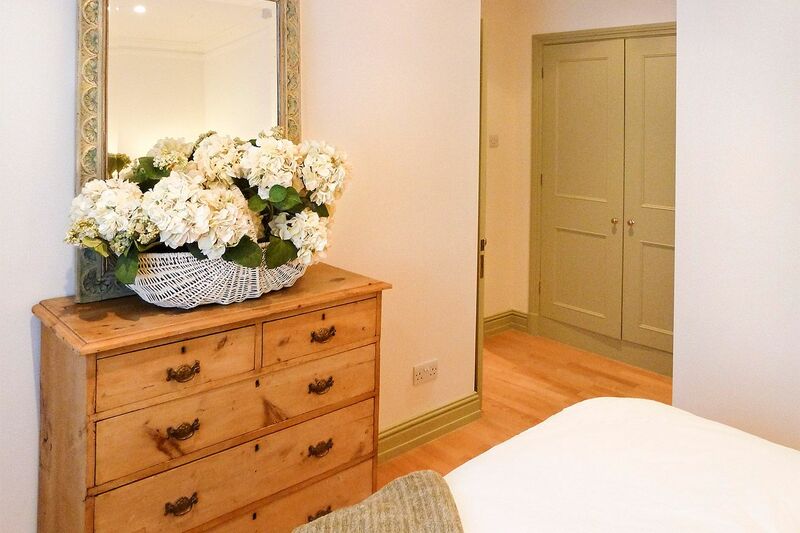 We hope you had a wonderful stay in our Hornton apartment. Please take a moment and click here to share a review of your experience with us. 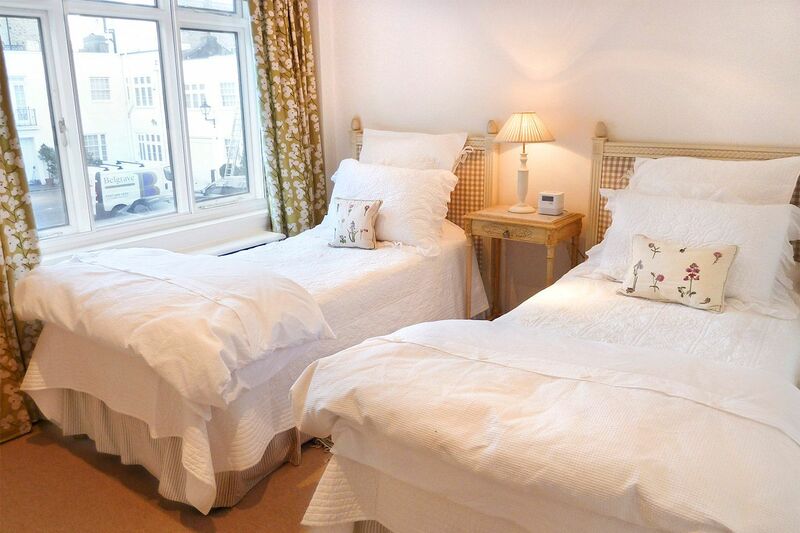 "Our family of four found the Hornton apartment to be wonderfully comfortable. 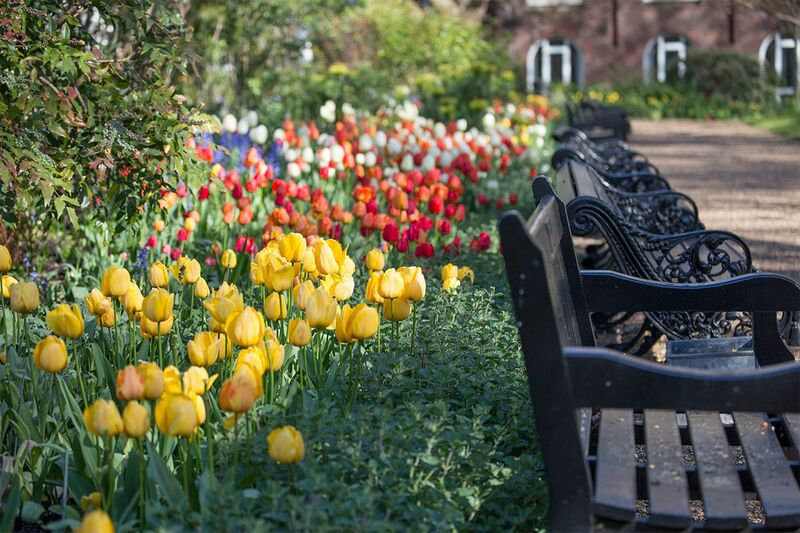 The location is perfectly situated in a quiet neighborhood, close to Hyde Park, the tube, and an array of yummy restaurants (plus Whole Foods is just a short walk away). 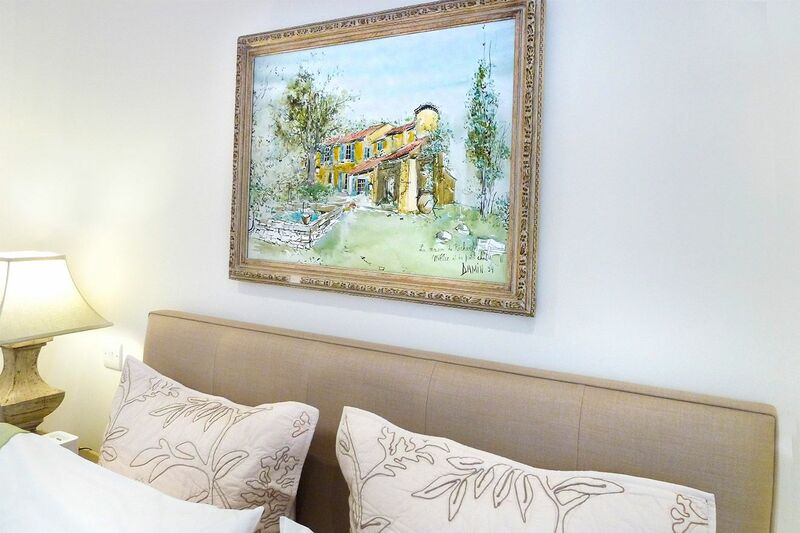 Our favorite place in the apartment was the cozy..."
"We had a wonderful time at the Hornton. Very clean, comfortable and well stocked. The apartment is in a perfect location with restaurants and stores close by. Two different train stations within walking distance. I would highly recommend both the Hornton and the neighborhood." "Once again London Perfect came thru. We had a big group but the apartment was perfect, in a perfect location, just down the street to the Chocolate Show. We were able, everyday, to just walk down to the Show where we were exhibiting. 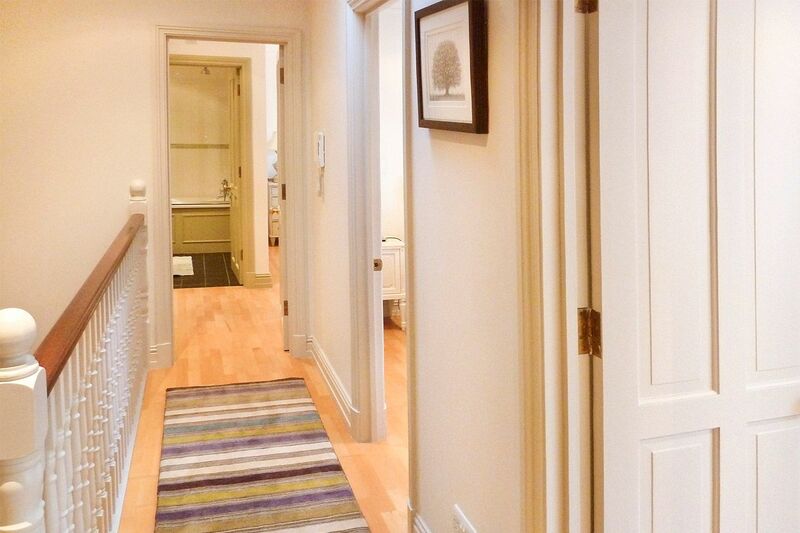 No problem to get there, walk was short, tube was available and..."
"Our Hornton apartment was perfect for our family of six...and as you can imagine, that is a large request! The location was fantastic. We were situated right in between two very accessible Tube stops, Notting Hill and High Street Kensington. 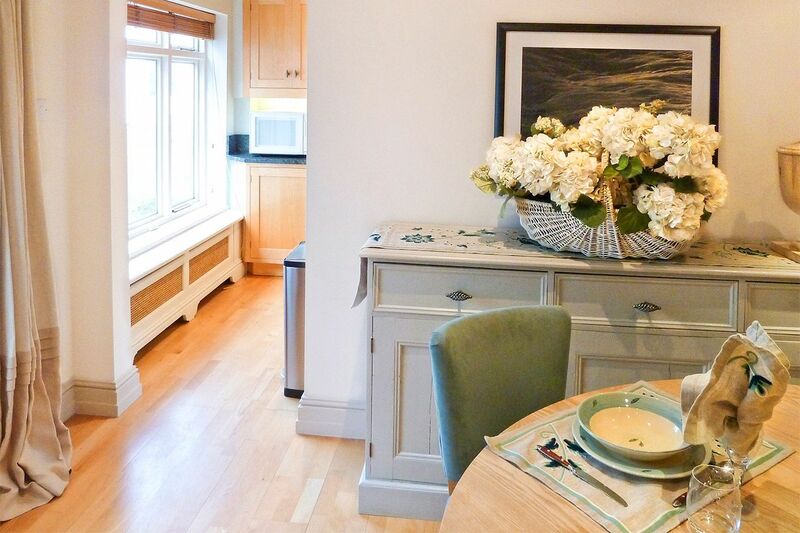 We loved all of the delicious food options -- try..."
"It could not have been better, charming apartment located perfectly between Kensington High Street Station and Nottinghill Gate Station. There were so many cafes and restaurants around it was very very easy. I did not want to leave. London Perfect staff are so helpful and accommodating. I loved..."
"This property is lovely. Staying in a mews house was wonderful! It is very quiet and has all the old world charm and intrigue that you hope London will provide. The property was perfect for my family and is in a great location. It provided all the comforts of home which was welcomed after a long..."
"Five of us stayed in this apartment recently and could not have been more pleased. The location, between the High St Kensington station and the Notting Hill station was superb, making train travel very easy. In addition, there are numerous buses in the streets around the unit which allowed our 4..."
"Apartment was beautiful, comfortable and looked exactly like the pictures presented on the website. London Perfect was attentive to every detail of service, especially Lushi on airport service needs to and from the apartment. 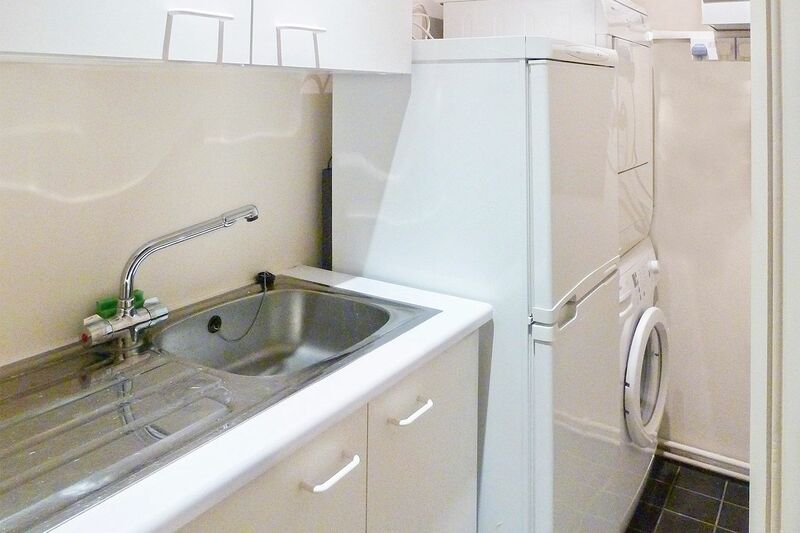 The apartment was located near "Tube" stops, great..."
"We enjoyed our stay SO much, the location was great! We came up with this to tell people what you can do here. 10 reasons why I *HEART* London! 1. Many awesome things to see. 2. A place where history was made. 3. A place filled with knowledge. 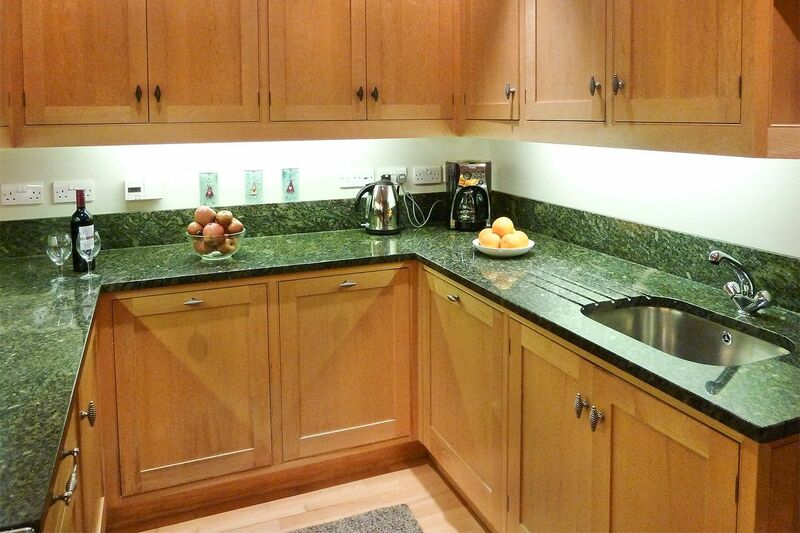 "The Hornton was a perfect fit for our family. We have three young children so the ability to all sleep on the same floor was quite helpful. Also, the fact that it is situated on a mews meant that the kids could play soccer outside while the rest of us were getting ready. All the..."
"We have really enjoyed our stay at your Hornton property. We have been here on holiday during Christmas week and could not have enjoyed it more! We travel to London relatively frequently and have rented a number of apartments, mostly in the Kensington - Notting Hill area. 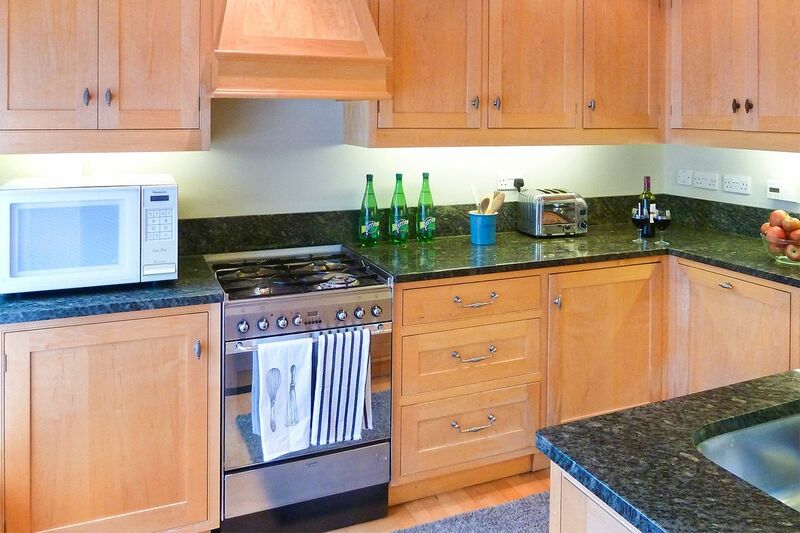 The Hornton is by..."
"Well positioned, well equipped and appropriate for a family of 5. "Dear London Perfect & Ed! Thank you for providing such a fantastic place for our family to stay while in London! The two weeks we had here were delightful - Ed provided a great welcome, the house was warm (something us Aussies were very grateful for during the cold..."
We travel to London relatively frequently and have rented a number of apartments, mostly in the Kensington/Notting Hill area. The Hornton is by far..."
"Thank you so much for allowing us to stay at the Hornton. We had a wonderful time. 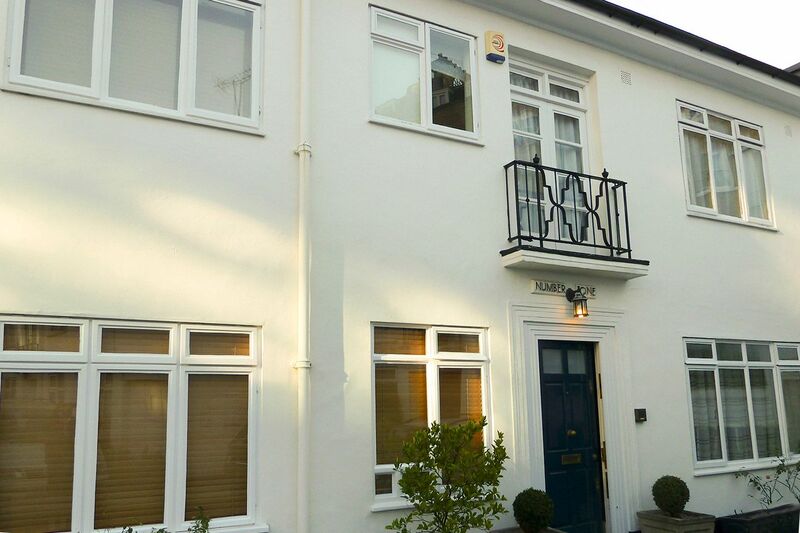 The location of the house was perfect and very convenient to high street and the tube station. The house is beautiful and located in a great neighborhood. We hope to come again. Thank you for everything!" "Thank you for providing us with a fantastic home for our family while in London. The location, size and all the lovely rooms made our stay perfect! We hope to return." "Thank you so much for everything!! 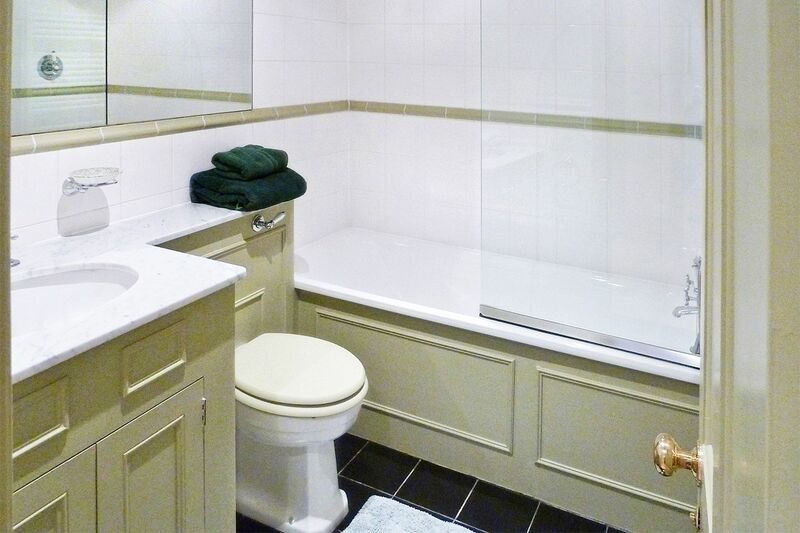 We had a wonderful time in London and the apartment was just perfect for our family." "We enjoyed the week we spent at the Hornton. The location was perfect...close to subway stations, grocery stores and restaurants and easy walking to a number of beautiful parks and attractions. The house itself was immaculately clean and well kept and had all the conveniences of home and all..."
"Enjoyed the location - Great neighborhood! Super quiet and a great place to stay." "Thanks! We had a great time. Great House!" "Thank you for providing a wonderful place to stay during our trip to the London Olympics. The location was perfect and the facilities made our stay enjoyable." "We came to London for Wimbledon and sightseeing. 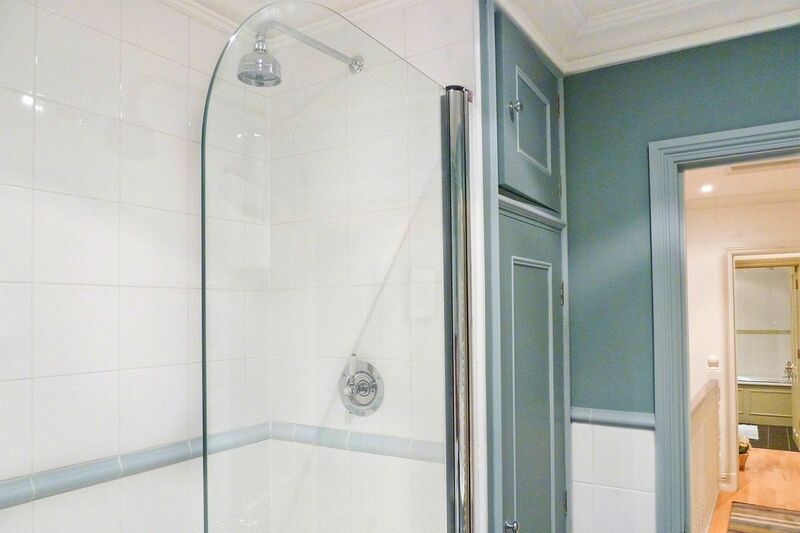 The Hornton was spacious, lovely, clean and perfectly located in one of the most posh areas of London: Kensington. 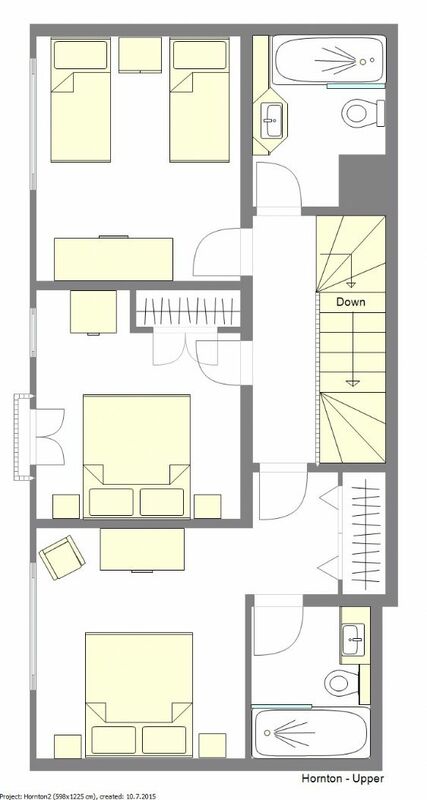 The Hornton was ideal for us since we were traveling with children and it had three bedrooms. We were located between two great tube..."
"The location was perfect! We loved the neighborhood, and enjoyed the easy accessibility to amenities and the Metro. There were a few dust bunnies upon our arrival, but really, that was the only thing that wasn't perfect with the Hornton apartment. We will definitely stay again when we..."
"We had a great time staying at the Hornton Mews apartment. It was a fantastic location and included all the amenities you could ask for in an apartment. Let's just say we were spoiled. Transportation arranged to/from the airport and train station was great. Lushi, the driver, was very helpful..."
"The Hornton was a delightful apartment which was roomy enough for our three teenagers (wireless network worked well too). It was incredibly quiet which was amazing for central London and we felt very safe there. 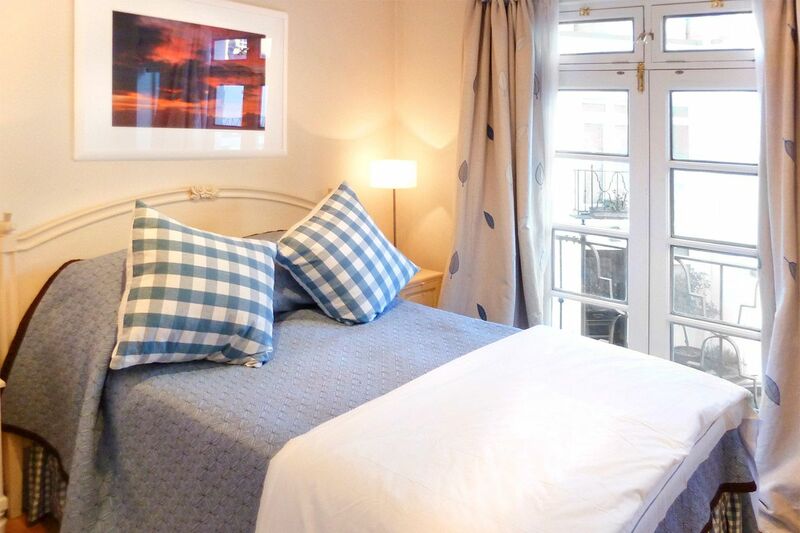 Its position was ideal being between two tube stations - we preferred Notting Hill as..."
clean, updated, and had every convenience we needed (we especially liked having a washer and dryer available, as it meant we could pack much less!). It was big enough for the 4 of us to spread out, which was important to us, and was very..."
"Our group of 5 people stayed in the Hornton apartment in Sept 2011. 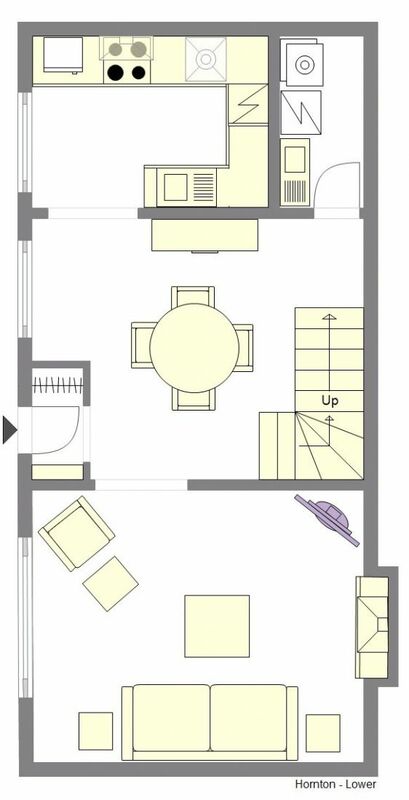 It is a beautiful apartment in a nice and convenient location. Everything was as it is advertised on the website. It worked very well for us. Thanks so much. 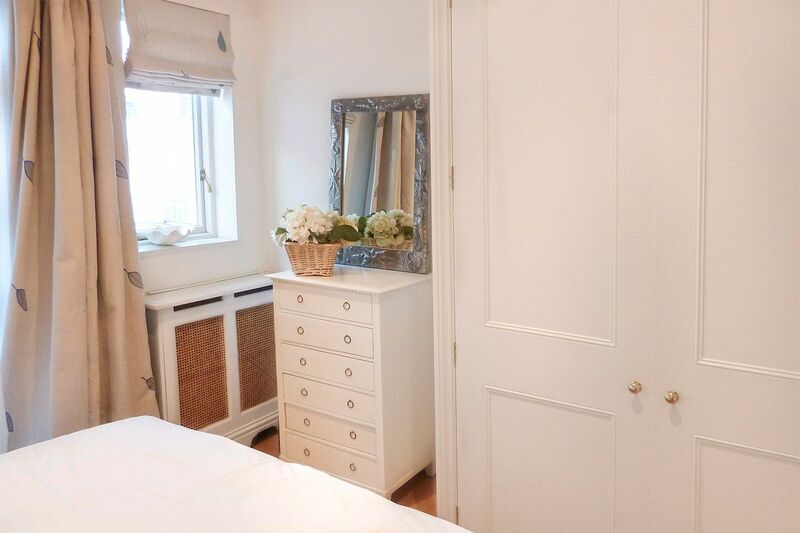 "We had a wonderful stay in London at the Hornton mews house! I actually grew up in London and did not want to be confined to a stuffy hotel room. The Hornton was perfect for our family and could not have suited our needs better. I thought the photos on your website looked fabulous and it was..."
"Our party of four adults stayed in the 3 bedroom, 2 bath Hornton Mews property during the London leg of our vacation. We found the apartment utterly modern, clean, comfortable and livable. 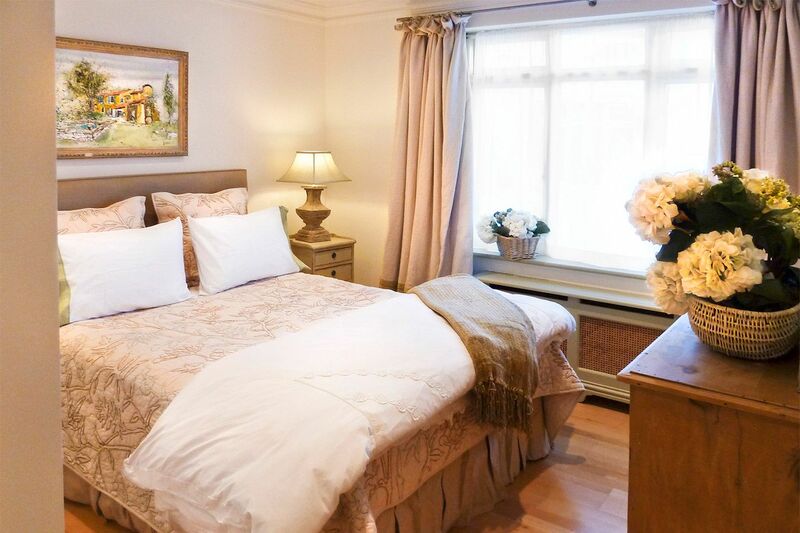 The location between Notting Hill and Kensington high Street, both with underground stops, couldn't have..."
"Stayed at the Hornton during a March break vacation. 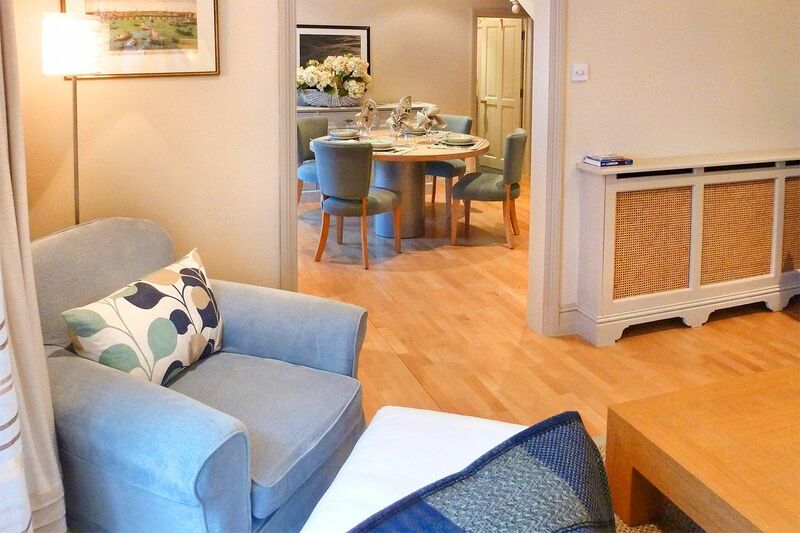 The Mews were in a fabulous location, close to great restaurants and the tube. Very clean and new appliances. While close to everything it was very quiet. The 3 bedrooms were perfect for our family (14 year old son, 11 year old daughter) and the..."
"Arrived and met by Ed - what a great idea to have a 'greeter'. The Hornton is in a quiet haven - we love it!" 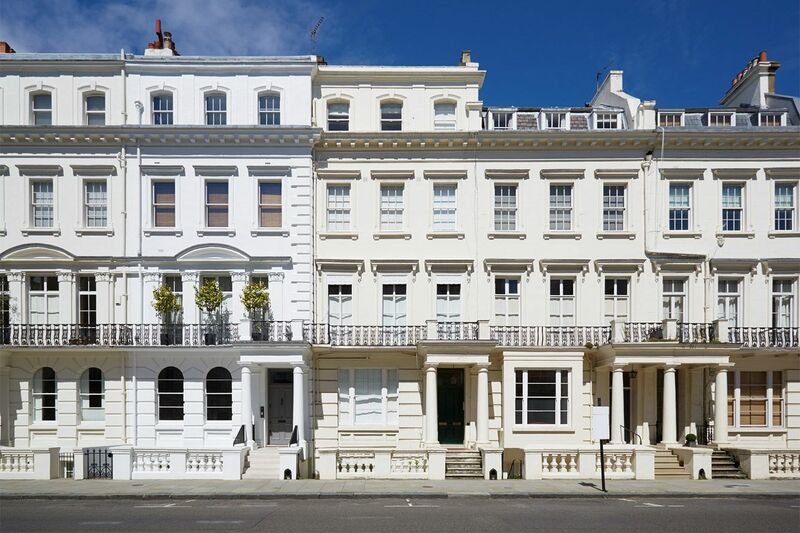 The Horton apartment is in the heart of Kensington, in central London. 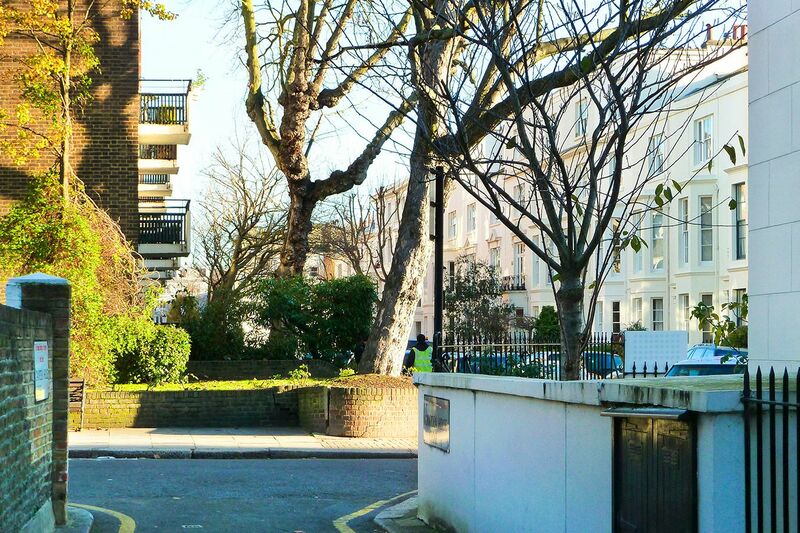 This neighborhood is one of the safest neighborhoods in London, inhabited by a number of Lords and Ladies, well-known actors and politicians. 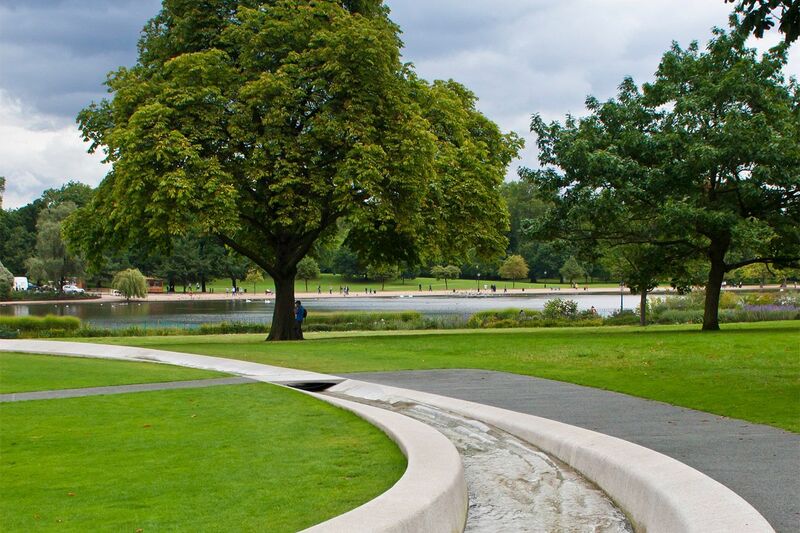 You are walking distance to Kensington Palace, Hyde Park, loads of shops, restaurants, cafés and public transport. You are close to dozens of cafés, restaurants and the chic shops of Kensington, so you can eat out daily or shop for food and cook at home. Some of our favorite restaurants in the area: The Thai restaurant at the Churchill Arms (5 min walk); Clarke's, Kensington Church Street (5 min walk); Itsu, Notting Hill Gate (11 min walk); Assaggi at the Chepstow, Chepstow Place (17 min walk). Nearest pharmacy (6 min walk): Calder, Notting Hill Gate (020 7727 3185). Boots Chemise, High Street Kensington. Supermarkets (6-10 min walk): Our favorite supermarkets are all located on Kensington High street. Whole Foods (nearest), Marks and Spencers, Waitrose and Tesco (for basics). 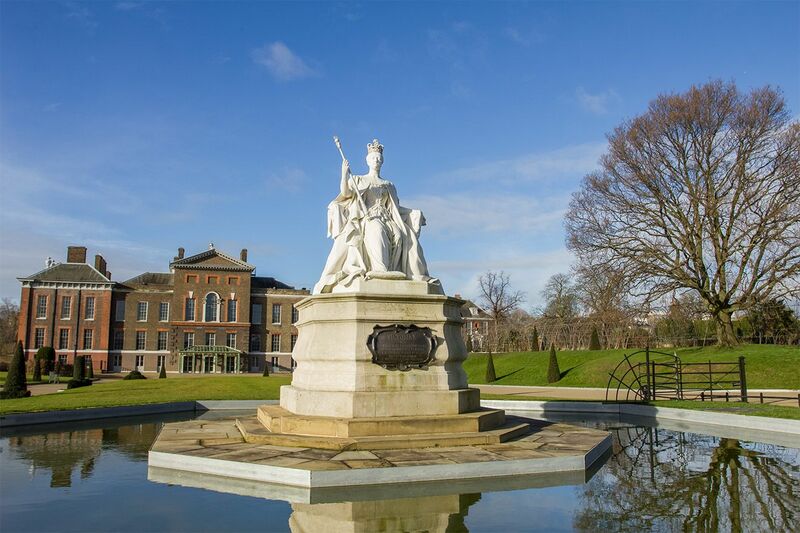 Kensington Palace & Kensington Gardens (10 min walk): visit the former home of both Princess Diana and Princess Margaret. You can also walk, picnic, bicycle and play in the Princess Diana Playground. Notting Hill (10 min walk): Trendy area famous for the Hugh Grant movie of the same name and the Notting Hill carnival. Hairdresser (12 min walk): Our favourite hairdresser is Le Léon, 2 Ladbroke Grove. 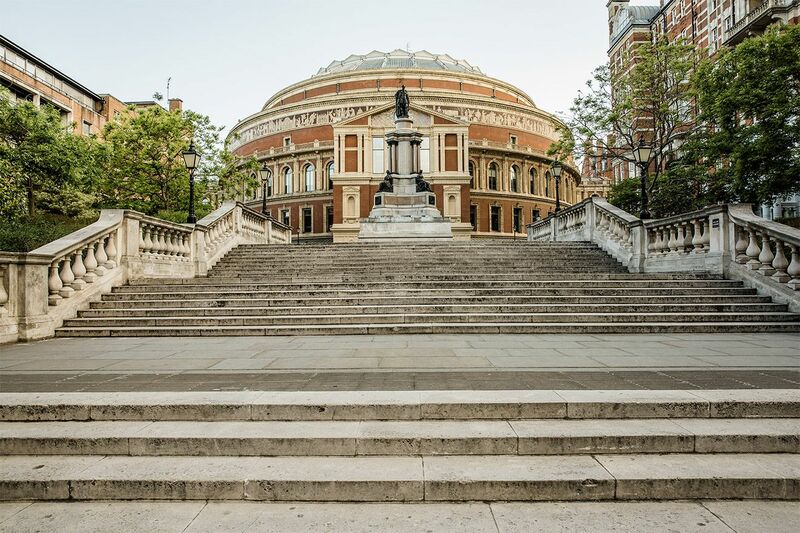 Royal Albert Hall or at the Royal College of Music (20 min walk). 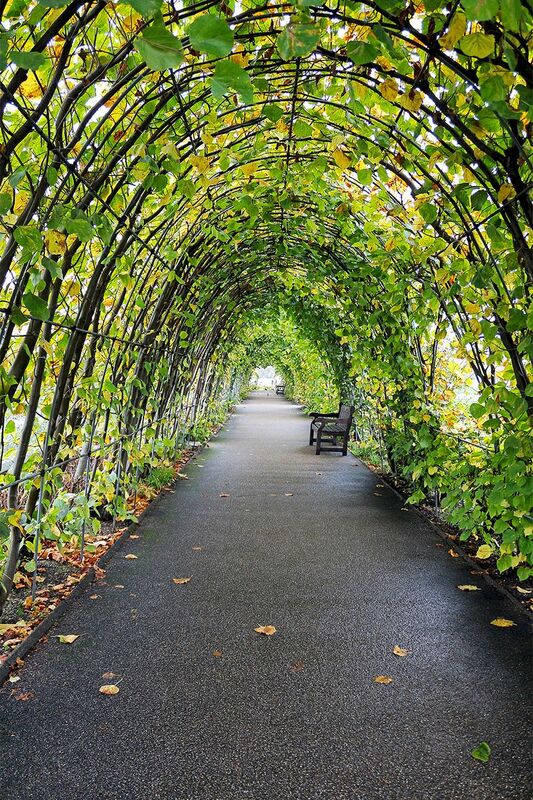 Hyde Park (20 min walk): Stroll through Kensington Gardens to Hyde Park. 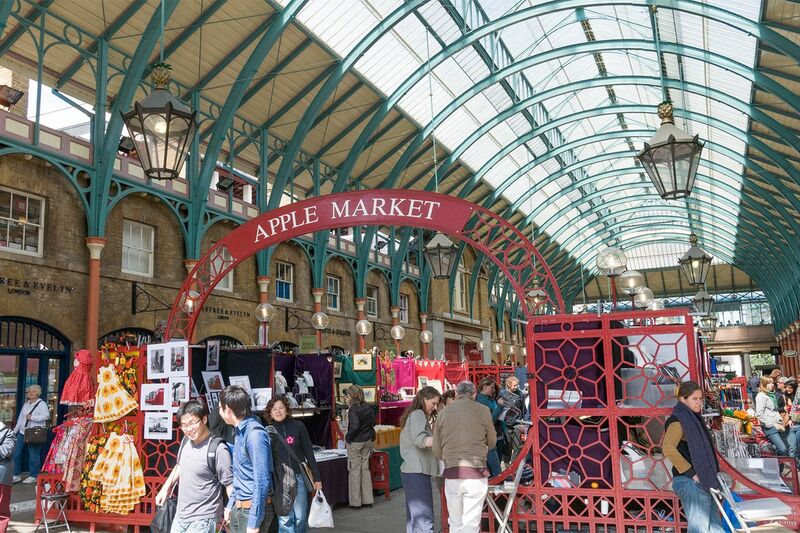 Portobello Market (25 min walk): The famous Portobello Market antiques market is in Notting Hill Gate; be sure to go early on Saturday mornings. 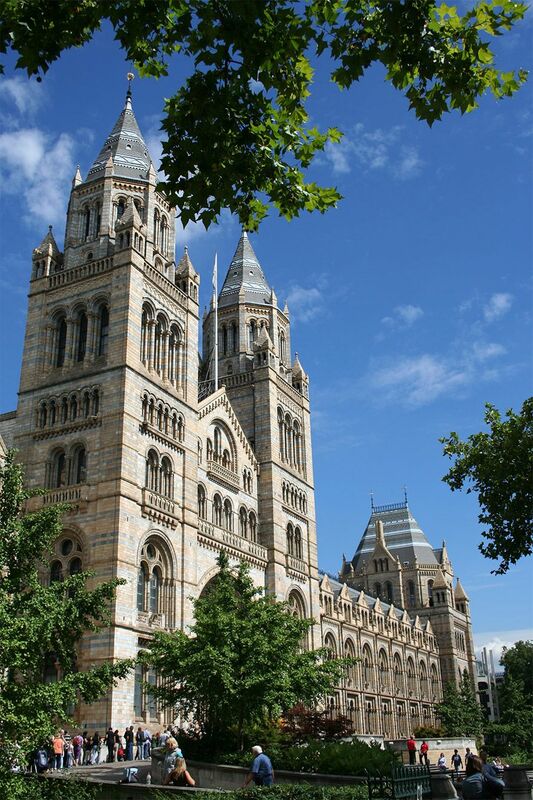 Museum Row (30 min walk): the Natural History Museum, National Science Museum, Geographic Society and Victoria and Albert Museum. 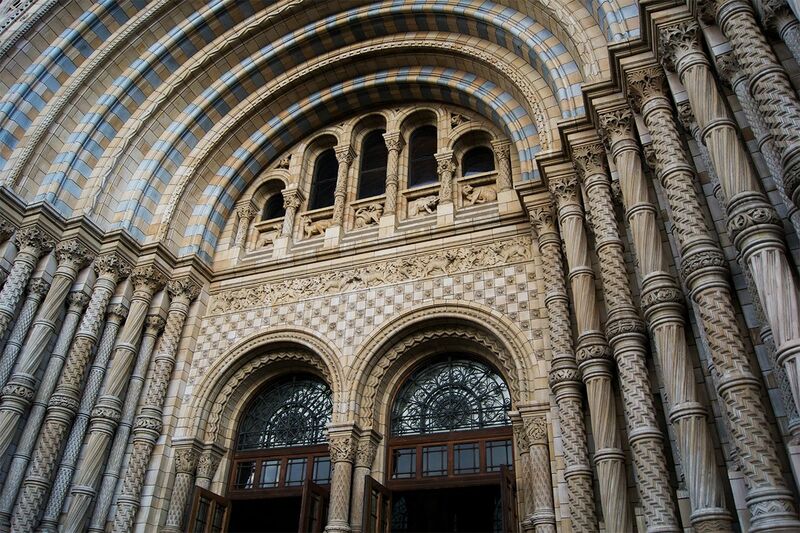 The National Lottery has provided funds to finance museums for the past decade and the new displays and exhibitions are fascinating for young and old alike. Harrods (35 min walk): visit one of the world's most famous department stores. Harvey Nichols, Knightsbridge & Sloane Street Shops (35 min walk): upscale designers abound in this area. 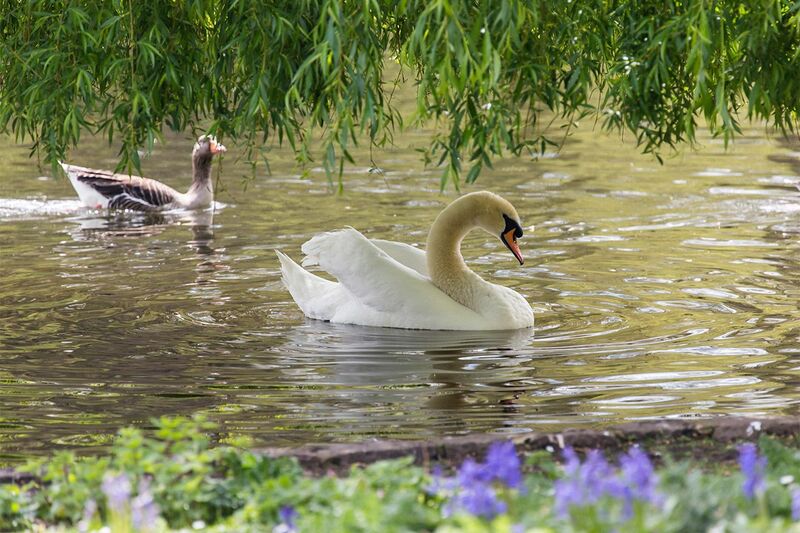 Relax in the peaceful local parks!